In an emergency, you should dial 999. Calls to 999 are free. The non emergency number is 101. Calls to this number cost 15p regardless of the duration of the call. Braehead and Broomridge are part of the Stirling East ward on Stirling Council. Police Scotland have assigned Community Police Officers to cover this ward. Currently our officers are PC CHRIS SMITH and PC MANVEER SANGA. You can also click here to visit the Stirling East section of the Police Scotland website and find out more about local policing priorities. 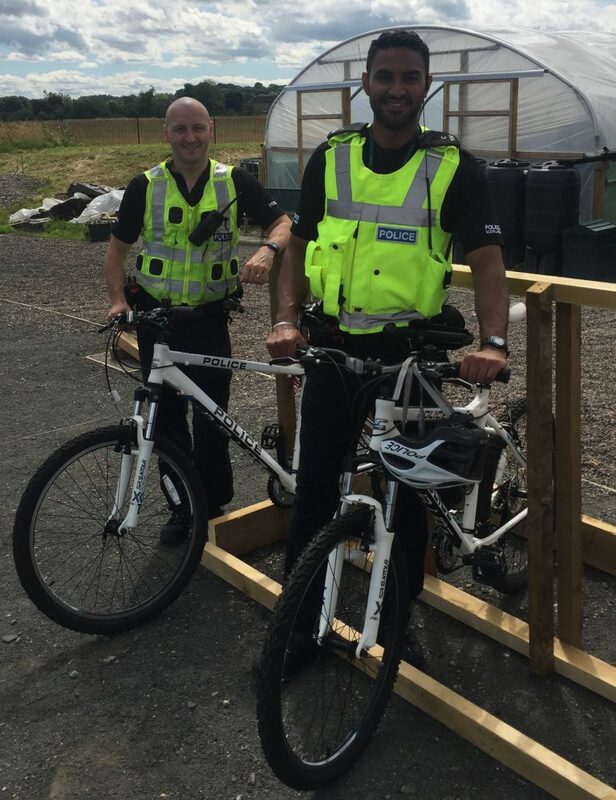 PC Chris Smith (left) and PC Manveer Sangha (right) visit Braehead Community Garden.